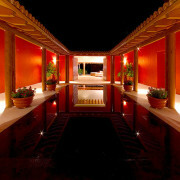 THE GLASS PENTHOUSE at PVSR is Infinity Beachfront Hot Tub Flat Screens Jet-skis Punta de Mita Endless Summer. The best beach on the Punta de Mita peninsula is right here, NOT open ocean and inside the Bay of Banderas. The 9,274 square foot PVSR Glass Penthouse at Punta de Mita features a huge terrace, a bar service lounging and entertaining great room overlooking a massive pool, the sea and sun and stars, the Marietas Islands and Puerto Vallarta in the distance, ringed by the Sierra Occidente. If you don’t play golf, this is the luxury condo project that you need to consider first for your vacation. Avoid the price mark-ups for amenities you don’t need. The best restaurants are a short walk down the beach and if you need to experience the high end spas and resort restaurants, our concierge will make reservations at the St. Regis / Four Seasons for you. Is perfect. This is not open ocean. It is the last beach inside the Bay of Banderas on the Punta de Mita peninsula. The waves are good for swimming and kayaking and paddle boarding to bigger waves along the coast. Perfect for entertaining, the stunning top floor is a truly Great room with a wall of glass that showcases the Punta de Mita coastline, the Pacific water and sunrise…and constant reminder of why you are here. The four bedrooms below are large with A/C, flat screen TVs / satellite and en-suite bathrooms. Bedroom 1: THE GLASS MASTER – King bed, deluxe bathroom. 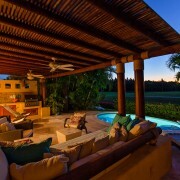 Motorized blackout window shades reveals glass wall showing the sunrise over the coastline to Puerto Vallarta. There is a media room with a pull out couch bed and a full bathroom. 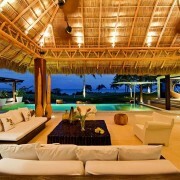 Also on the lower lever is a living room with a bar and TV and large couches opening to an ocean terrace. 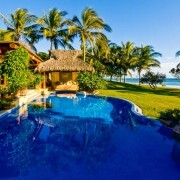 Why you will love vacationing at Punta Vista Signature Residences? Amazing views and starry skies! Friendly and knowledgable service from our concierge From chef service to in-house massage, or groceries delivered, booking activities, finding a great English speaking nanny…there is no detail too small. There is no comparable property in this area. The size of the units and pool, the quality of beachfront, height / view points, construction quality and overall value. Most developments are large and dense. 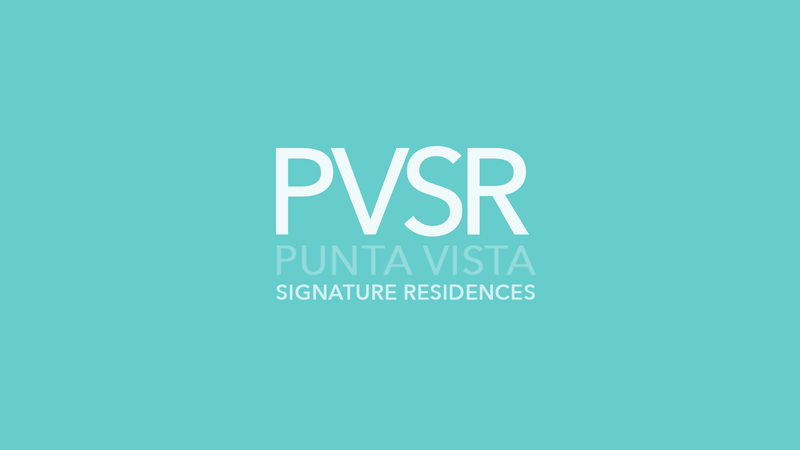 PVSR is boutique and deluxe with few owners visiting at any given time which makes it an amzing choice for Punta de Mita rentals in peace and luxury. Cooking in the gourmet kitchen is fun with breakfast buffet island and all top end appliances. Crafted with great attention to detail and finished with the finest wood, glass, marble and granite.